Nintendo sent out a press release this morning, the first business day in the New Year, in order to tell the world that the Nintendo 3DS has officially moved more than four million units. The company has been claiming the system would do it for a few months now as a point to indicate its new-found success; today, that's been made fact and not conjecture. 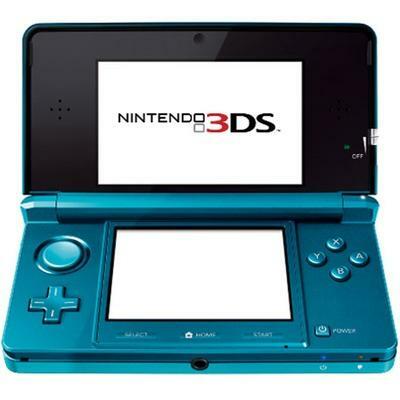 The release also included this comparative note: The "Nintendo 3DS Sells More in Its First Nine Months Than Wii Did…"
According to the company, Super Mario 3D Land and Mario Kart 7 are leading the charge for the Nintendo 3DS and its software catalogue. Each game has already broken the 1,000,000 copies sold mark, leading the system to move better than it ever had before. Scott Moffitt, Nintendo of America's Executive VP of Sales & Marketing, had a quote in the release focusing on the software lineup his company brought to the holiday and the one it intends to bring into next year. "One of the strongest software lineups in our history helped Nintendo have a great holiday season and to close 2011 with a full head of steam…Not only have the new Mario and Zelda titles already broken records, but with strong reviews and satisfied customers sharing their positive experiences, all three are also shaping up to be the latest long-tail titles from Nintendo. Couple that with a massive first- and third party lineup in the first part of the year and the prospects for 2012 are extremely promising." Which brings me to my first point of concern as a Nintendo 3DS owner… the release indicates that gamers should be excited for upcoming titles like Kid Icarus and the new Luigi's Mansion. After that, I ask, then what? It won't be until E3 that we get a taste of what Nintendo's offering next, and that show may be centered around the Wii U.
Hopefully the Big N will line up more strong first party titles for their newest portable. Third party games are great, but they've never been Nintendo's strong suit. The company can't rely on the efforts of outside publishers for their systems to sell. They need to continue beating their own drum with new and old IPs alike. That will ensure their success. Nobody makes games for the Nintendo consoles quite like Nintendo. That seems like a blessing and a curse from where I stand.